“So her mouth says, ‘I don’t understand the question,'” Stewart said. “But her eyes say, ‘F–k. I’m busted. 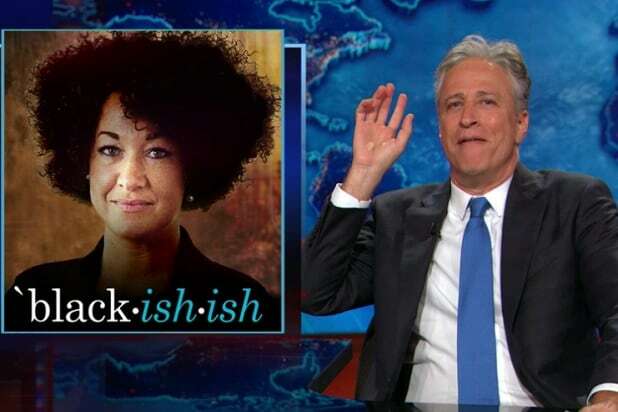 '” Stewart didn’t stop there, however, as he tore into Fox News pundits for their coverage of the Dolezal case and their claim that is representative of a larger liberal “transrace moment” in America and that racism cannot be as widespread as people believe if a white woman wants to be black. Stewart then tried to turn things over to “The Daily Show’s” senior black correspondent, only to be greeted by the very white Jordan Klepper. Luckily, Jessica Williams came out to set the record straight on this controversy.